The main role of audio mixers is to collect audio signals from various sources, process them, and then send them to external amplification or recording equipment. 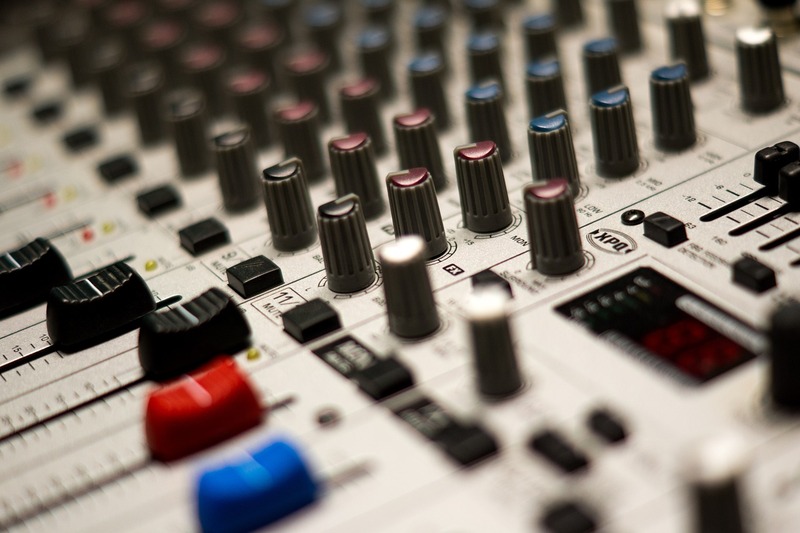 There are two main types of audio mixers: analog and digital. Analog mixers progress the signals that are received directly, they are usually cheap to operate and easy to use. Digital mixers convert the signals to digital before processing them. This enables additional features such as pre-programmed settings, extra automation, extra effects, and additional functions. Since there are many similar products on the market, we’ve put together five audio mixers suitable for both a professional studio and home use. Peavey has been manufacturing high-end musical equipment since 1965. Their PV14BT audio mixer is a powerful mixing console that contains famous Peavey’s microphone preamps, which enhance live and recording events. One of their trademark features is the extremely low level of total harmonic distortion. When it comes to channels, the PV14BT includes eight direct recording outputs, one media channel with wireless-based Bluetooth input, one stereo channel, as well as four channels for compression, and one channel on the board for guitar preamps. The Bluetooth function is extremely practical for connecting the board with smart gadgets. Each of the channels on the PV14BT comes with a 3-band equalizer and bypass. With this option, you can add the EQ-elements to the sound you’re making with a single push of the button. You can create top-notch digital effects using the LCD display on the board, as well as play MP3 playback through the USB input, or stream USB out from the desk. The option to connect this audio mixer directly to your computer gives you a plethora of mastering and mixing features. There’s also a stereo master LED meter panel, as well as indicators of signal clips. This studio console contains the Solo feature, which enables you to hear individual channels using the control room outputs or your headphones. In order to remove the background noise, every channel is supported by hi pass filters. Also, when you’re letting the sound from the PV14BT through a PA system, the enhanced Master and AUX outputs provide a clear signal, without any noise interference. The Behringer XENYX X1222USB studio console is an analog mixer with high headroom features. This compact mixer comes with four channels enriched by XENYX Mic Preamps, well-known for their clear sound delivery. All the mono channels on the Behringer XENYX X1222USB desk possess three-band equalizers, as well as plain compressors with one knob each. These add-ons contribute to enhanced clarity of sound. There are four stereo channels, and two of them accept Line-Level sound sources. Also, they’re compatible with XLR inputs. The premium 2/2 Bus Mixer with 16-input options and the XENYX Mic Preamps and compressors add to its sound-enhancing nature. Also, the 24-bit Multi-FX processor with a dual engine contains 16 professional ready-made modes, such as delay, flanger, chorus, reverb, as well as multi-effects. 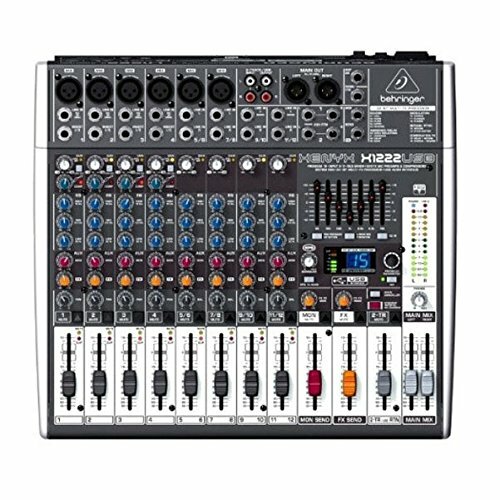 All these functions make the Behringer X1222USB mixer a great device to live gigs. 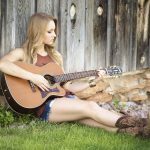 It’s easy to use and it contains most of the features necessary for great studio recordings. 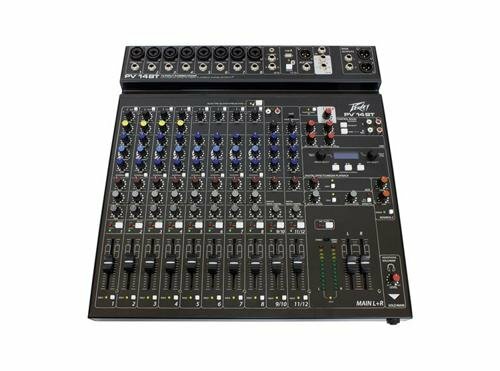 The integrated audio interface and USB ports, together with a variety of editing software tools, make this mixer compatible with your computer. That combo serves as a great home studio for high-end recording sessions. 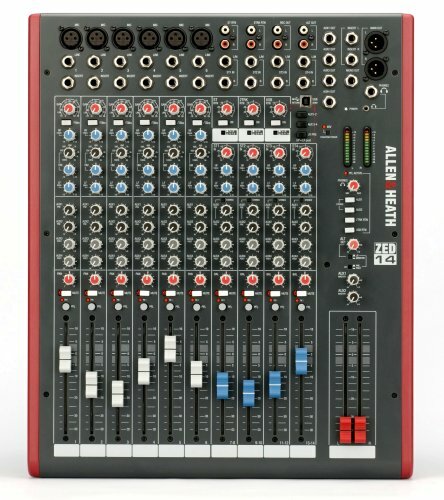 One of the best-selling audio mixers for recording and sound production, Allen & Heath ZED-14 is a 14-channel mixer that allows you record directly to your computer. The high-end sound of the utmost resolution obtained through this mixer will make your recordings sound as if they were made in a professional studio. The technical features of the Allen & Heath ZED-14 offer an abundance of sound-enhancing options. The DuoPro mic preamp will optimize the circuit of an outer microphone amp, which will keep the sound clear and neutral. This mixer comes with four stereo channels that have 1/4’’ stereo phone connectors, which ensures a high level of gain. Also, there are six mono channels that include input connections for microphone and line. When talking about channels, it’s important to say that the stereo channels have a 2-band equalizer, while the mono channels come with a 3-band EQ. The Allen & Heath Zed-14 also ensures extensive monitoring during recording, with 3.5mm and 1/4-in outputs for headphones. Moreover, you’ll be able to easily achieve a balanced XLR through the stereo outputs, as well as well-condensed mics with the +48 phantom power. As for other connections, you can count on 4 aux ports: two for foldback and prefade monitoring, and two for postfade effects. Finally, with its Sonar LE software that has 99 different controls, the ZED-14 is here to enrich your recording with pure, non-distorted sound with reduced noise and enhanced gain. This sturdy audio workstation provides simultaneous 8-track recording, with 24 tracks altogether. There are 12 mono tracks, in addition to their six stereo counterparts. The Tascam DP-24SD comes with an integrated mixer, which contains all the options you might ask for when you’re working on a mix. You can use the equalizer and amp simulation, as well as different effects, such as reverb, to color the sound you’re producing in accordance with your preferences. Also, there’s a wide range of mastering effects that will make your recordings sound as if they were made in a renowned professional studio. There are eight XLR inputs for the microphone and line, and they supply condenser microphones with the phantom power. 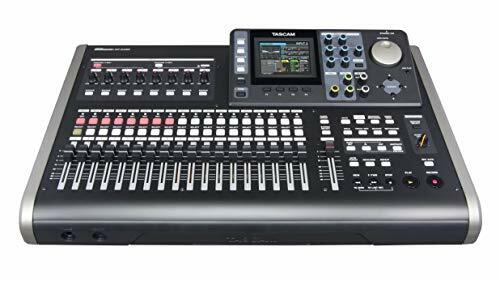 This Tascam mixer comes with a large LCD in color that displays the meter at which you’re recording, the tracks, as well as the effects. When it comes to integrated effects, you can use the aforementioned reverb, delay, compression, guitar amp settings, as well as some other effects – in total, there are ten processors for effects. The panning, the effects sends and the equalizer in the Tascam DP-24SD are monitored by a set of 12 encoders. Also, you can record a guitar or bass directly through one input, thanks to the switch that adjusts the impedance level for these instruments. The rear panel also ensures balanced outputs for monitors and effects sends. You can record mixes and tracks on an SD card via the USB output, as well, so as to transfer them to a computer. 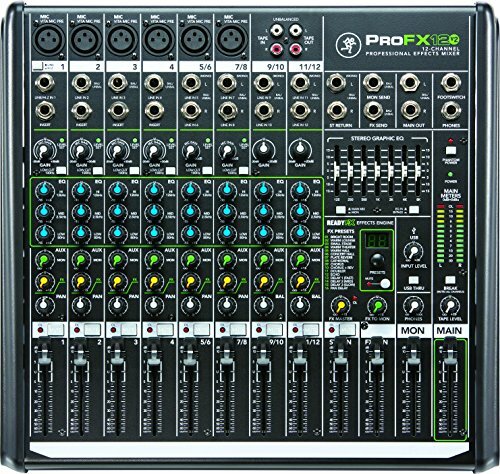 Last, but not the least on this list, the Mackie PROFX12V2 is a compact mixer with 12 different channels. With the improved ReadyFX engine for effects and the live sound enhancing Vita preamps, ProFX is a comprehensive recording and mixing toolkit. This engine is specifically produced with the idea of processing high-end sound features. Also, it’s capable of processing HQ-sounds and turning them into fine recordings. The Vita preamps are made for live sound, which makes this Mackie mixer a great companion for live gigs and other music events. They’re enhanced with dual feedback stabilization, as well as low-noise optimization. As you’re making your recordings, you can use the multi-band visual EQ, to control different effects and sound options. The integrated USB interface makes the recording and mixing experience as smooth as it gets. Also, it enables you to handle the playback options during live gigs. This device is also equipped with the Tracktion recording software so that you can kick-start your recording and mixing once you get the PROFX12V2. An audio mixer is an essential and versatile piece of kit for any studio or gigging musician. We think that the Allen & Heath ZED-14, the Peavey PV14BT and the Behringer XENYX X1222USB are closer to the professional studio sound than the other two studio consoles. Still, the Mackie PROFX12V2 and the Tascam DP-24SD offer a fine value for money. 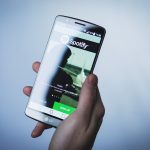 The final choice you make will depend on your budget and your current recording, mixing and mastering needs.